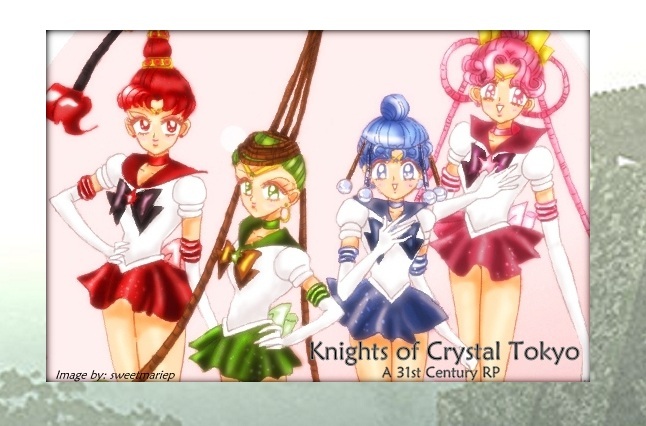 Knights of Crystal Tokyo » General » Member Section » Welcome everyone! I'm so excited to have everyone here and interested in getting this story started! I'm sorry it's been such a long wait for some of you, but I'm eager to make up for it now that are ranks are beginning to fill. As most of you might not know each other, I'd like this board to be an introduction type board, where you can come in and tell a bit about yourself so everyone can get to know you and your style. Heya! Guess I'll go next. Name: Liv works for me. Hobbies: Writing but mostly comics so pardon if my writing is a little shabby at first, I'm sorry. Drawing, dancing, musicals, uhmm oh really bad television and excellent television. Yep. Rp Pet Peeves: god-moding and when people complain about someone's style or choice of plot direction when they aren't even apart of that current thread. Extras: I've drawn way too much of the quartet and knights. It's really bad. Occupation: College Student. I'm a resident assistant (RA) at the dorm I live in. website: I have 4 tumblrs so I won't list them lol. I'm a RP mod on Galaxy Cauldron Forums which Kyralih is admin on so I guess she's my boss. ^^ I'm head admin and the owner of Mew Aqua Crystal which is a Tokyo Mew Mew forum. I also an admin on [url=Ponilicious]http://ponilicious.forumotion.com/[/url] which is a my little pony forum. Characters: Well no one yet. I'm hoping to get Ganymede. Hobbies: Writing, roleplaying, and video games. I also enjoy watching birds and anything related to nature. I love climbing rocks in creeks. Hobbies: Writing, roleplaying, reading, photography, video games, teaching, and anime. Character: I'm thinking.. Sailor Vesta? Name: Please call me Sugar! How many VesVes' does it take to screw in a lightbulb? Extras: Hmm well, me and Sugar are sharing a computer, so if we both disappear its just cause it's broken down. Sugar has an ipad though so she should be able to let know. Ahh... Right... I'm short am I? Let me ask you, how fond are you of your kneecaps?